This ring is part of our ‘Gaol’ collection, meaning ‘love’ in Gaelic, and is made exclusively by Love from Skye on the Isle of Skye. 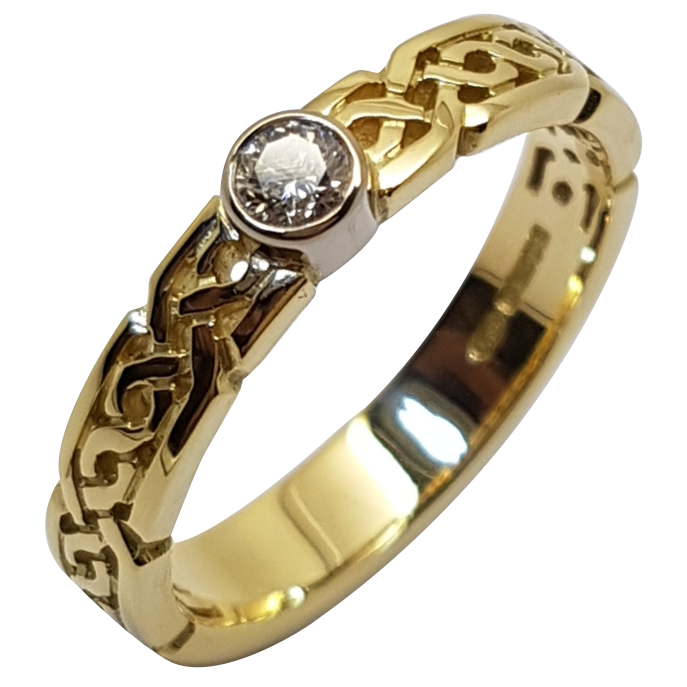 This narrow, open knot-work band (measuring 4mm) is set with a 12.5pt (1/8 carat) diamond. 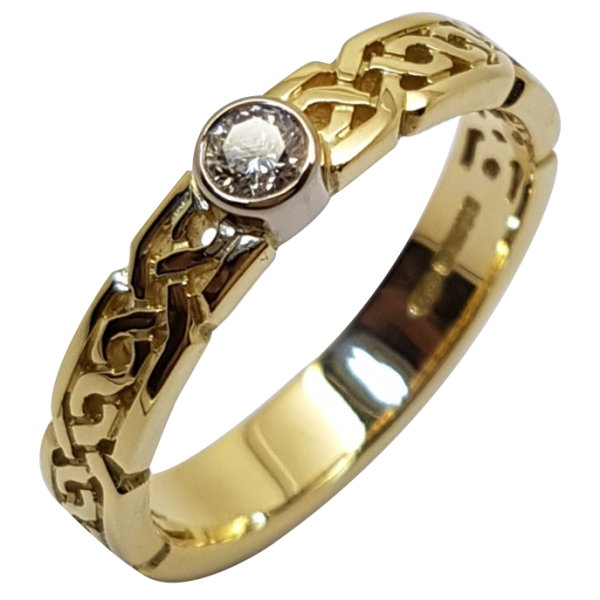 This design can also be purchased with our G/R1 Gaol ring as a wedding and engagement set. 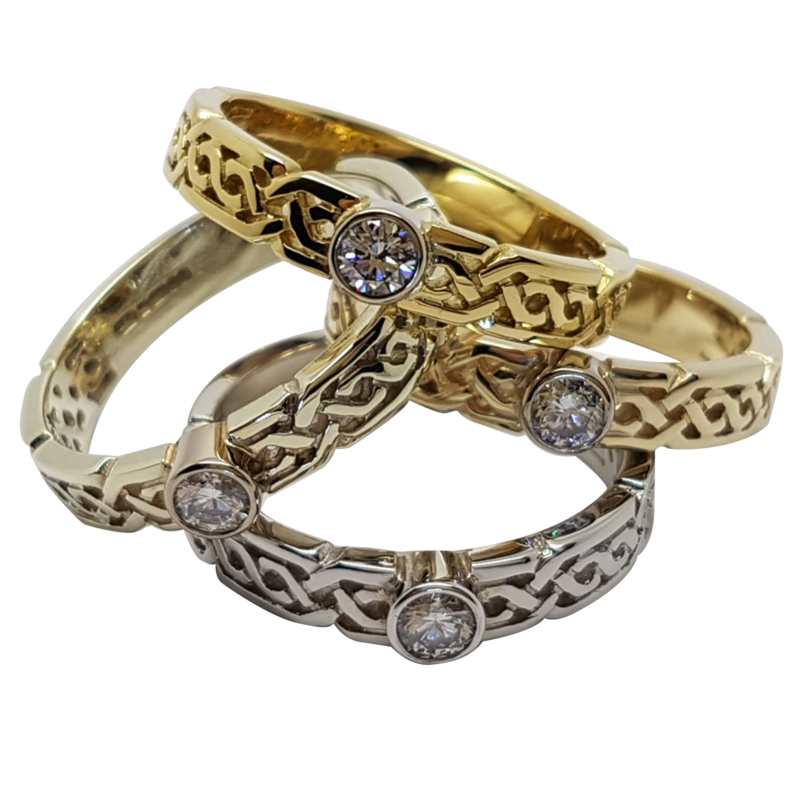 All our Celtic knot-work rings have a plain section which allows your ring to be resized in the future and adds strength and structure to the design.